Do you remember your first car? For car enthusiasts, a first car is more than just a means of getting from point a to point b. When they think about that car, they’re taken back to early solo drives, initial attempts at car repairs and that first-car sense of freedom. Welcome to 1A Auto’s “My First Car” series, in which our founders, management and staff share stories about their first cars. In the first post of the series, 1A Auto Public Relations Manager John MacDonald tells his first car love story. The sparkle that the Arizona sun can put on a freshly waxed paint job is mesmerizing. Especially on a 1983 Datsun 280ZX Turbo with Fox Silver Metallic paint. It’s the first thing that caught my eye when I first saw her. Yes, her. She was beautiful and sitting in the parking lot of a Nissan dealership in Tucson, Arizona—T-tops, pin-stripe style tail lights, NACA ducting in the hood, rubber bumper overriders, and alloy wheels. The interior reminded me of the inside of a fighter jet cockpit. Sitting in her gray leather seats for the first time, and looking across a highly detailed dash with a voice warning system, made my heart race. It was 1991, and I was living on Davis-Monthan Air Force Base, shortly after Operation Desert Storm. I had a pocket full of combat pay, designated solely for buying a car. I had looked for the right car for months, but nothing had excited or motivated me to part with my cash. Nothing, until I found that 280ZX Turbo. The beautiful chunk of craftsmanship was the first car I ever fell in love with. Sure, I thought I had fallen in love with other cars before, but not like this. It’s the kind of love that hits you and makes you realize that every other instance before it was just puppy love. This was real. I remember taking my first test drive, and within seconds, I knew I had to buy this car because I felt like she knew me. 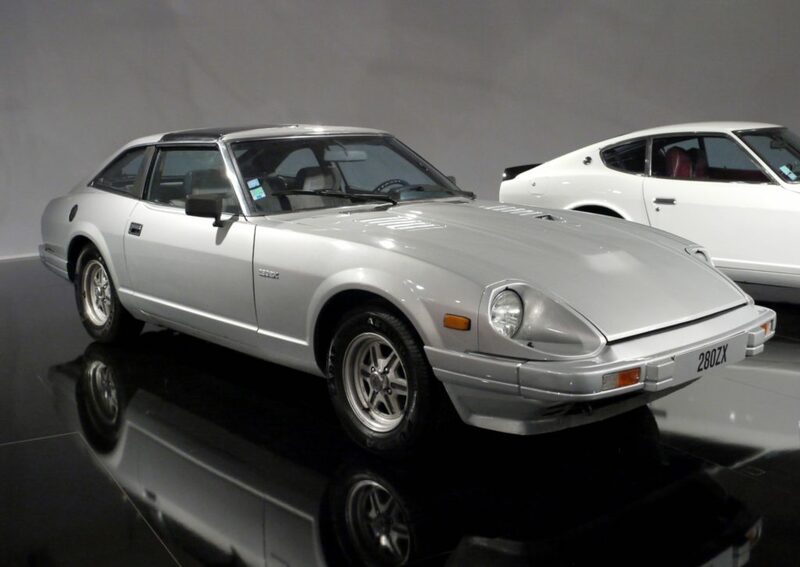 At the time the Datsun 280ZX Turbo was first released, the car was the fastest Japanese import on the American Market. The turbocharged 280ZX had an automatic transmission that went zero to 60 mph in 7.4 seconds and had a top speed of 130 mph. I didn’t know these facts when I test drove her for the first time, but I certainly could feel the performance designed handling and its raw, uninhibited power. I cherished my first love and would spend endless days with the T-tops off, driving through the narrow roads of Mount Lemmon and the long desert highways of Arizona and Mexico. There is nothing like the experience of driving across the Mexican coast abutting desert roadways or feeling the hot breeze buzz off your freshly cut flattop while watching the deep, red sun set. It’s a mystical experience when the road, the car and nature blend in with the driver. The whine of a turbocharged engine at 90 mph can seduce your senses and bring you to a place of serenity unlike any other. I had always wanted to pilot a fighter jet before joining the Air Force, but my poor vision pushed me into the next best thing, which was crash fire rescue as a firefighter. My job was to learn how to rescue pilots in the event of a plane crash. I sat in every cockpit of every plane or jet in Air Force inventory at the time to learn my job. Sitting in the seat of my Datsun 280ZX Turbo was the closest thing to feeling like I was in an aircraft. As a young 20-year-old living on a military salary, I had no choice but to perform my own do-it-yourself car repairs. I learned a lot about changing fuel lines, starters, and finding replacement parts. Like today, as back then, hiring a mechanic for the repairs I could do myself was expensive. In addition, I wish that I had access to the 1A Auto library of how-to videos because it would have saved me a lot of time and money. My 280ZX gave me a lot of joy for a couple of years until the fateful day I was rear-ended in a traffic jam headed west on East Speedway Boulevard. It was a crushing blow to my car, but especially to my heart and mind. My beautiful Datsun 280ZX Turbo was totaled. I knew instantly that our journey together had ended, but what I didn’t realize at the time was that my broken heart would last forever. All other cars that I drove and owned from then on would be compared to my first turbocharged silver metallic love.